Pennsylvania Home Improvement Specialists - CSTM Home Improvements, Inc. Welcome to our Home Improvement website where we specialize in home modifications for individuals who are disabled and aging. Who would know and understand the needs of our clients better, then a person who has had to overcome barriers? Kenneth Boyd President of CSTM Home Improvements, Inc. is a Deaf Builder/Home Remodeler. Kenneth's compassion for his clients and customer service set him apart from the pack. He has been helping people live and work independently out of their homes by making modifications to there homes and living quarters. If you are considering new construction, modifications, universal design, renovations or remodeling then give us a call for your free estimate. 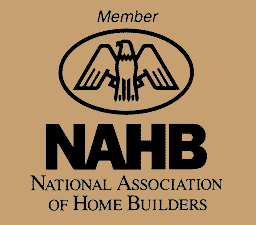 We are Pennsylvania and New Jersey's choice for home improvements. Website is Copyrighted © CSTM Home Improvements, Inc. and is protected by the laws governing.